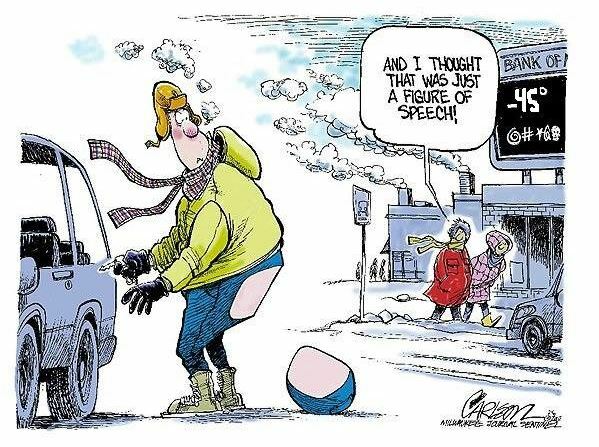 As the frigid air continues to hover over the northeast of North America, comparisons are aplenty. 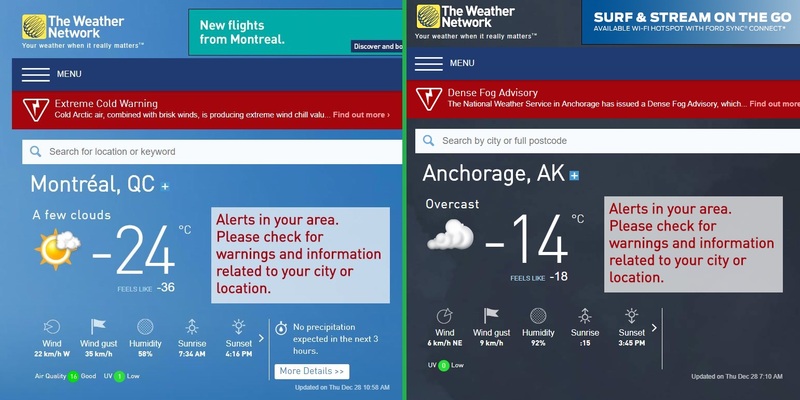 The one above indicates the relative cozy -14C in Anchorage, Alaska while we in Montreal are freezing our asses off!! When all those folks comment on the very hot summer weather that now hits Montreal due to global warming, just remind them that it cuts both ways!